The Money Maze, Don’t Get Lost in the Middle, is a curriculum aligned personal financial literacy textbook for Grades 5 – 8. 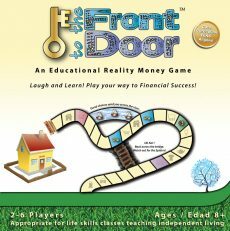 Introduce your students to the concepts of handling their money, and then use the worksheets for ‘hands on’ learning! 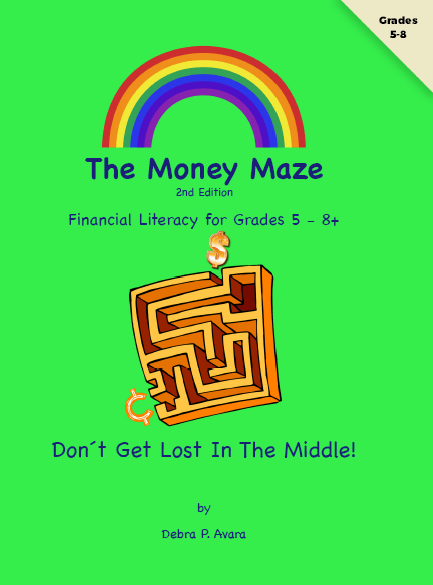 Included websites and calculations will help your students learn to successfully manage their money. Table of Contents distinguishes grade levels. Compound Interest – and why you must start early! 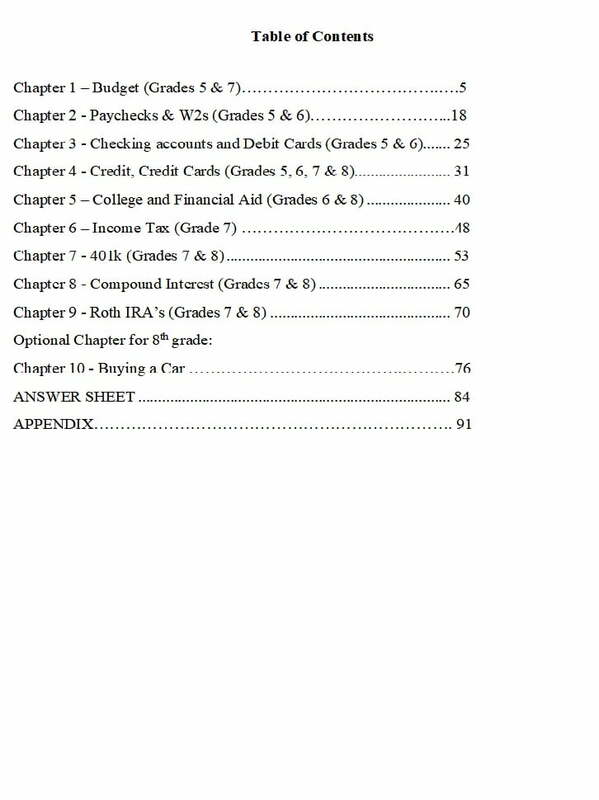 And optional chapter on how to buy a car! 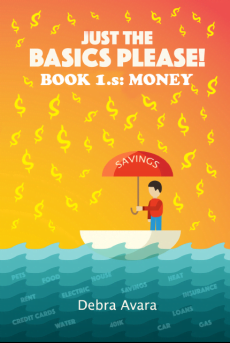 This book is written for an education level of 5th to 8th grade, however, it is the perfect book for ESL classes, GED classes, new immigrant classes, adults working on GED’s, generational poverty students, and any one else who has minimal training in finances. (F) balance a simple budget. (H) compare the annual salary of several occupations requiring various levels of post-secondary education or vocational training and calculate the effects of the different annual salaries on lifetime income. (F) analyze and compare monetary incentives, including sales, rebates, and coupons. (G) estimate the cost of a two-year and four-year college education, including family contribution, and devise a periodic savings plan for accumulating the money needed to contribute to the total cost of attendance for at least the first year of college.